You don’t need to hire a plumber for every drip, leak and clog in your house’s plumbing, but at the same time, not addressing small plumbing repairs in a timely fashion can turn them into big plumbing repairs. 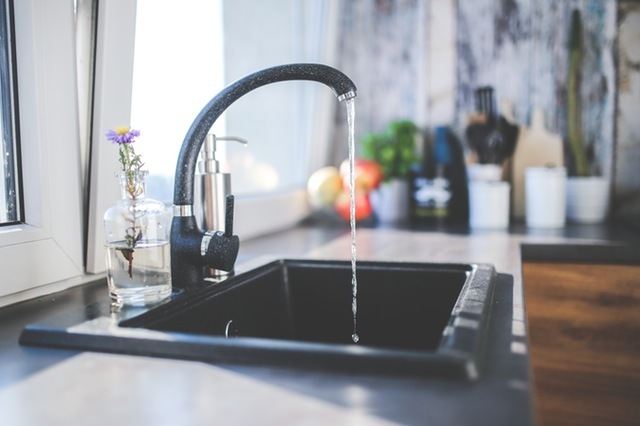 And sometimes, small issues like a running toilet or a dripping faucet can cause you to waste up to 200 gallons of water a day, adding up to $150 per month to your water bill. But, does your particular plumbing problem require professional help, or is it something you can tackle yourself? Knowing the difference between a simple DIY repair and a job for the pros can save you hundreds, even thousands, of dollars. Know your limits, and don’t try to tackle a job that’s too big for your skill level. Build a relationship with a reliable plumber before things go wrong, so you’ll have someone to call at 8:00 p.m. on a Friday night who will actually come out and do work. Some jobs are simple enough that any home handyman can probably tackle them without worrying too much about making them worse. You can probably fix a leaking or running toilet or a dripping faucet yourself. Most drain clogs can also be cleared at home using one of several methods for clearing a blockage out of a clogged drain. But, while some jobs may be simple enough in theory for a minimally skilled DIY-er, they may still not be something you want to tackle in reality. For example, a toilet that leaks around the base may need a new wax ring installed underneath it — it’s a simple enough fix, but one that requires lifting the toilet off of the ring, replacing the ring and then lifting the toilet back. Unless you’re young, fit and have an equally young and fit friend to help you with picking up and positioning the heavy toilet, you may want to call in the pros. Plumbing requires a lot of specialized knowledge, and it’s not just a matter of knowing what to do. You also need some experience with the materials and tools to know, for example, how much tightening a PVC nut can take before it cracks. If you’re not sure whether you can tackle a specific job, it’s time to call in the pros. Replacing or installing pipes and fixtures, or doing plumbing as part of a renovation or remodeling job, may require professional help. Don’t wait until you have a plumbing emergency to find a plumber. A plumber is unlikely to want to come out for an emergency if you’re a stranger calling late at night. Build a relationship with a service professional before you need one. Hire him or her to do some nonemergency repairs and replacements around your home, so you’ll have an established relationship when an emergency arises. This will also give you time to vet the plumber and make sure he or she is qualified and reputable. Don’t put off emergency repairs — small problems can escalate quickly if not addressed in a timely fashion. Word-of-mouth is still the best way to find any good plumber. Ask your friends, neighbors or relatives if they have a plumber they use and trust. Once you get a few names, your next step is to go to the internet and look up customer reviews of that plumber to see if they have a good reputation. If your network can’t make any recommendations, you can also use the internet to search for plumbers in your area, paying attention to their reviews. For example, search for Miami faucet repair service and pay attention to what reviewers are saying about each contractor. You shouldn’t base your decision wholly on reviews, however. You should also find out any prospective plumber’s license number and check with your state’s licensing agency to make sure the license is current and that there are no active complaints against it. Your plumber should also have $500,000 worth of liability insurance. Contact your state’s consumer protection agency and the Better Business Bureau to find out if other customers have lodged complaints against a particular plumber. Don’t be afraid to ask a plumber for references from current and past customers, either. Call these people up and ask them whether they have been happy with the plumber’s work. Home plumbing problems don’t always require a plumber, but when they do, it’s crucial to hire a good one. With the right plumber on your side, you can spend more time enjoying your home and less time panicking over a plumbing emergency.